The Robert Fleagle Visiting Faculty Fellowship in Atmospheric Sciences Policy at the University of Washington was established by Emeritus Professor of Atmospheric Sciences Robert G. Fleagle to broaden understanding for students, faculty, and the broader public of the interaction of the atmospheric sciences with national policy. Humans have faced a series of national and global environmental challenges in the past half-century, including smog, the use of lead in gasoline, ozone depletion, and much more. This talk reveals how combinations of science, public policy, industry participation, and the engagement of citizens succeeded in addressing past environmental challenges. Finally, I probe how the lessons learned help us understand how to better manage today’s environmental problems, including climate change. 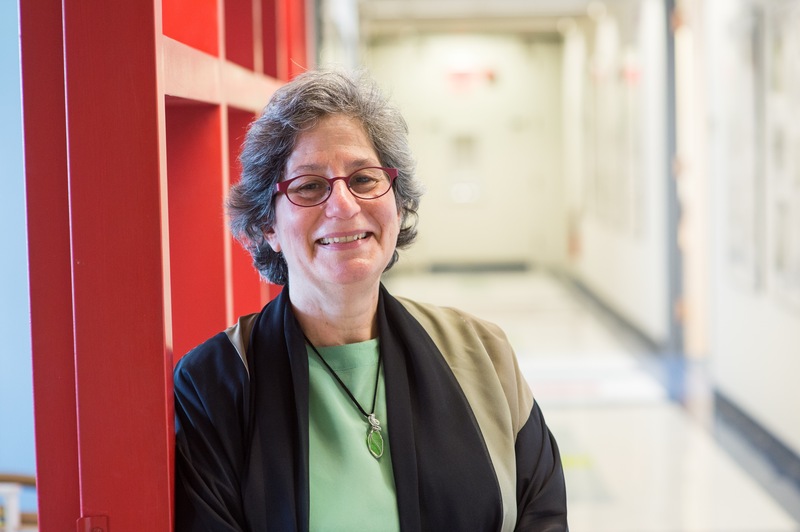 Susan Solomon is internationally recognized as a leader in atmospheric science, particularly for her insights in explaining the cause of the Antarctic ozone “hole”. She and her colleagues have also made important contributions to understanding chemistry/climate coupling, including leading research on the irreversibility of global warming linked to anthropogenic carbon dioxide emissions, and on the influence of the ozone hole on the climate of the southern hemisphere. Her current research focusses on both atmospheric chemistry and climate change. She is a member of the National Academy of Sciences and has received many honors for her work including our nation’s highest scientific award, the U. S. National Medal of Science. The human influence on climate has been established by thousands of scientific studies, stretching back more than 150 years. Today, however, public and political opinions on climate are becoming ever more sharply divided: along ideological, socio-economic, and even religious lines. Understanding the reasons that have created and fed this polarization is crucial to bridging this divide. It’s not a lack of information. No, the best predictor of opinions on climate change has nothing to do with how much we know about science, and everything to do with where we fall on the political spectrum. In such a deeply divided environment, it’s no surprise that 75% of people in the U.S. avoid talking about climate. But if we begin with values that we share, rather than facts we disagree on, it is possible to engage in productive conversations on this difficult issue. Dr. Katharine Hayhoe is an atmospheric scientist whose research focuses on understanding what climate change means for people and the places where we live. She is a professor at Texas Tech University and has been named one of TIME’s 100 Most Influential People and Fortune’s 50 World’s Greatest Leaders. As a world-class climate scientist and a Christian, Dr. Katharine Hayhoe may defy some stereotypes about the politics of religion and science. But defying stereotypes invites inquiry, which can lead to communication, even learning. It creates opportunity for thinking deeply about, and aligning, what we value and what we do. Climate change is a huge issue, and it’s one where citizen engagement is critical. That’s why her work is so fascinating: in part because it’s about climate change, and also because her main theme – faith and science – defies stereotypes. Johns Hopkins University – Paul H. Nitze School of Advanced International Studies (SAIS). After years as a back-burner domestic policy issue, climate change is well recognized as a pressing foreign policy and national security challenge. Extreme droughts, heat waves, floods, and other natural disasters—all symptoms of a warming world—are wreaking havoc around the globe, from humanitarian crises and mass migrations to food and water shortages, exacerbated poverty and accelerated conflict. In the U.S., more extreme weather driven by climate change has caused hundreds of billions of dollars in damages over the past decade. For these reasons U.S. Defense Department leaders flag climate change as a “threat multiplier,” and President Obama has made addressing climate change internationally a top foreign policy priority. To avert, or at least lessen, future disasters, the next U.S. President will need to advance and implement new policies to cut U.S. emissions. She or he will also need to factor climate change into a foreign policy agenda to reduce the risk of more conflict, mass migrations, and climate-fueled chaos in a warming world. This talk will suggest a climate change-related to-do list for the next president. 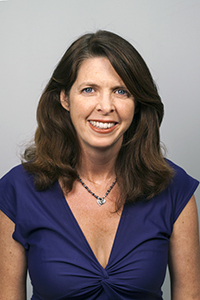 Cathleen Kelly is a Senior Fellow with the Energy and Environment team at the Center for American Progress. She specializes in international and U.S. climate mitigation, preparedness, resilience, and sustainable development policy. Kelly served in the Obama administration at the White House Council on Environmental Quality, where she led a 20-plus-agency task force to develop a national climate resilience strategy. This strategy helped form the basis of the climate-preparedness pillar of President Barack Obama’s Climate Action Plan. Kelly also helped formulate the Obama administration’s positions on international sustainable development and climate policy issues. Previously, Kelly directed the Climate & Energy Program at The German Marshall Fund of the United States, where she led a highly acclaimed paper series and events on climate and clean energy policy that drew the world’s top energy and climate policy players. She also held policy director and senior policy adviser positions at The Nature Conservancy and the Center for Clean Air Policy and was a professor of international and environmental policy at the Johns Hopkins University Paul H. Nitze School of Advanced International Studies, or SAIS. Kelly is an internationally recognized climate policy expert and a regular adviser to U.S. and European officials on environmental policy issues. She is a prize-winning graduate of SAIS, where she earned a master of arts in international relations and energy and environmental policy. Daniel M. Kammen is Professor of Public Policy in the Goldman School of Public Policy, Professor in the Energy and Resources Group and Professor of Nuclear Engineering in the Department of Nuclear Engineering at the University of California, Berkeley. World Bank Group’s Chief Technical Specialist for Renewable Energy and Energy Efficiency from October 2010-November 2011. 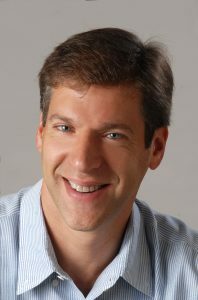 Dr. Kammen’s research interests include: the science, engineering, management, and dissemination of renewable energy systems; health and environmental impacts of energy generation and use; rural resource management, including issues of gender and ethnicity; international R&D policy, climate change; and energy forecasting and risk analysis. He is the author of over 90 journal publications, a book on environmental, technological, and health risks (Should We Risk It?, Princeton University Press) and numerous reports on renewable energy and development. He has been featured on radio, network and public broadcasting television and in print as an analyst of energy, environmental, and risk policy issues and current events. His recent work on energy R&D policy appeared in Science, and Environment, and has been featured on PBS, KQED, CNN, and in many newspapers via the Reuters news service. Professor Keith has worked near the interface between climate science, energy technology and public policy for twenty years. His work in technology and policy assessment has centered on the capture and storage of CO2, the technology and implications of global climate engineering, the economics and climatic impacts of large-scale wind power and the prospects for hydrogen fuel. As a technologist, Keith has built a high-accuracy infrared spectrometer for NASA’s ER-2 and developed new methods for reservoir engineering increase the safety of stored CO2. He now leads a team of engineers developing technology to capture of CO2 from ambient air at an industrial scale. Keith took first prize in Canada’s national physics prize exam, he won MIT’s prize for excellence in experimental physics, was listed as one of TIME magazine’s Heroes of the Environment 2009 and was named Environmental Scientist of the Year by Canadian Geographic in 2006. 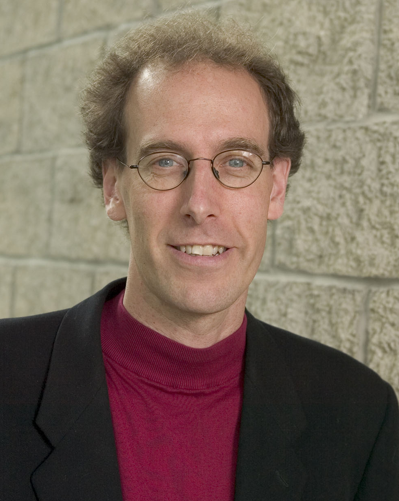 He spent most of his career in the United States at Harvard University and Carnegie Mellon University before returning to Canada in 2004 to lead a research group in energy and environmental systems at the University of Calgary. Keith has served on numerous high-profile advisory panels such as the UK Royal Society’s geoengineering study, the IPCC, and Canadian ‘blue ribbon’ panels and boards. David has addressed technical audiences with articles in Science and Nature, he has consulted for national governments, global industry leaders and international environmental groups, and has reached the public through venues such as the BBC, NPR, CNN and the editorial page of the New York Times. 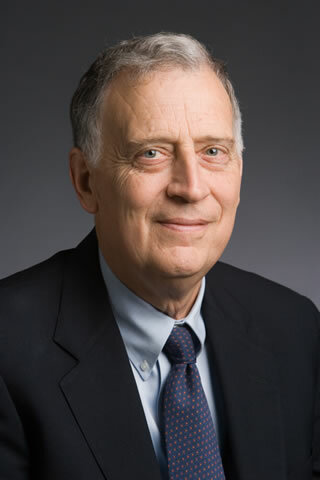 Dr. Ralph Cicerone received his Ph.D. from the University of Illinois. He is an atmospheric scientist whose research in atmospheric chemistry and climate change has involved him in science and environmental policy nationally and internationally. 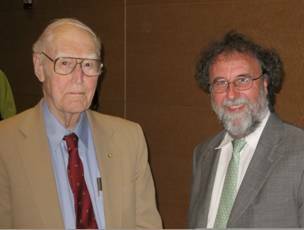 His work with Richard Stolarski in 1973 led to the discovery of the C10X chain mechanisms for depletion of stratospheric ozone. His research was acknowledged on the citation for the 1995 Nobel Prize in chemistry awarded to his colleague F. Sherwood Rowland. 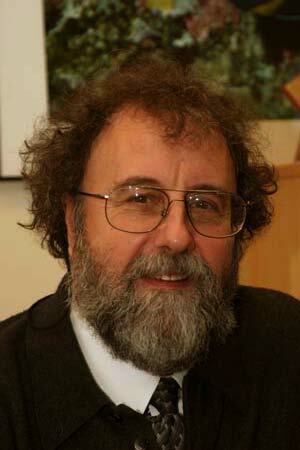 Cicerone was also the 1999 laureate for the Bower Award and Prize for Achievement in Science. He was awarded the 2002 Roger Revelle Medal by the American Geophysical Union, which recognized his outstanding research contributions to the understanding of Earth’s atmospheric processes, biogeochemical cycles or other key elements of the climate system. He was honored with the Albert Einstein World Award of Science in 2004 by the World Cultural Council for his research of “true benefit to mainkind.” Cicerone was the chancellor of the University of California, Irvine, before becoming president of the National Academy of Sciences. In May 1996, Dr. Watson joined the World Bank as Senior Scientific Advisor in the Environment Department. In July 1997, he became the Director of the Environment Department and Head of the Environment Sector Board. Prior to joining the World Bank, Dr. Watson was Associate Director for Environment in the Office of Science and Technology Policy in the Executive Office of the President in the White House. Prior to joining the Clinton White House, Dr. Watson was Director of the Science Division and Chief Scientist for the Office of Mission to Planet Earth at the National Aeronautics and Space Administration (NASA). Dr. Watson received his Ph.D. in Chemistry from London University in 1973. He has received many national and international awards and prizes for his contributions to science, including the American Association for the Advancement of Sciences Award for Scientific Freedom and Responsibility in 1993 and the insignia of Honorary Companion of St. Michael and St. George from the British Government on December 10, 2003. Prof. Robert Fleagle (left) and the first holder of the fellowship Dr. Robert Watson (right).